The CronusMAX PLUS is the first ever plug-in device that gives you the functionality of a fully modded controller without the need to install chips or solder wires or spend hundreds of dollars. Just plug it in and you are ready to go. This innovative new technology isn't available anywhere else on the market. With a full selection of MODS at your fingertips, the CronusMAX PLUS is perfect for the gamer looking to add an extra edge to their game. Our team of expert gamers are always developing MODS for the very latest titles - you won't find better anywhere else! 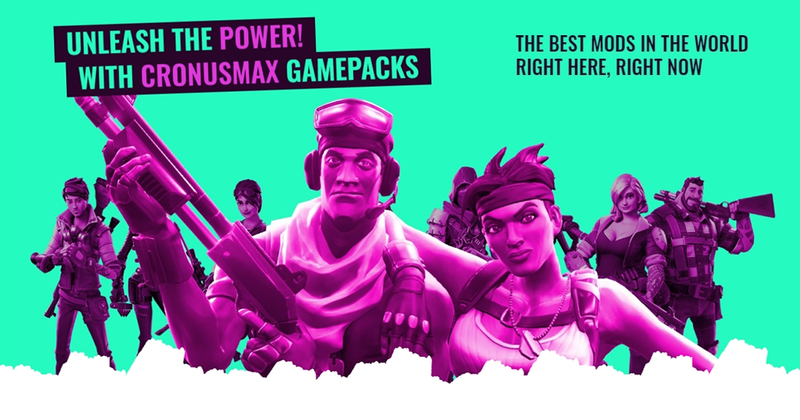 Note: GamePacks do not work with Keyboard and Mouse out of the box due to the CronusMAX being in capture mode with the X-AIM plugin, so you need to use open source GPC scripts of which there's a large community that creates and shares these scripts. There is however a workaround for using GamePacks with a keyboard and mouse, but you'd need to use use two CronusMAX PLUS devices. Click here for more information. Click Here to check out how to easily program a GamePack to your CronusMAX PLUS.